Live cameras watch for first Eurasian Crane chick to hatch in Britain for 400 years! An attempt by a pair of cranes to raise the first wild-hatched crane in western Britain in 400 years is being filmed on a webcam. The webcam has been installed by the Wildfowl and Wetlands Trust at its Slimbridge reserve in Gloucestershire. 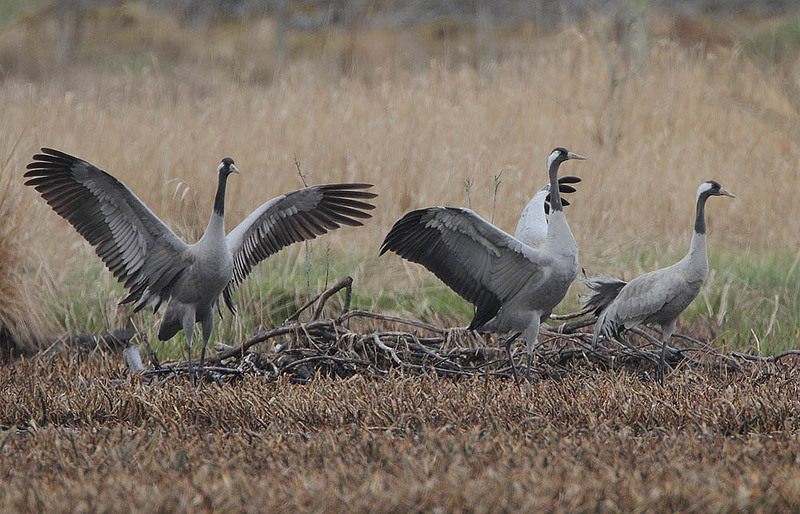 The 4ft (1.2m) tall cranes… first tried to nest at the centre last year but their chick died. The one or two eggs are due to hatch mid-May and can be watched by internet users via the trust’s website. The cranes are part of a reintroduction programme to re-establish the once-common birds in the UK…. Read the full article, from the BBC. This entry was posted in Birds, Europe (wildlife news), Life, UK, Wildlife & Environmental News.